Seven times James Bond and debut 007 star Sean Connery is celebrating his 86th birthday today. Thomas Sean Connery was born in the bustling city of Edinburgh, Scotland, in 1930 to Joseph and Euphamia Connery. In 1958, and after various bit parts and chorus roles, Connery landed the lead in the feature film "Another Time, Another Place" in which he played opposite the Academy Award-nominated US actress, Lana Turner. 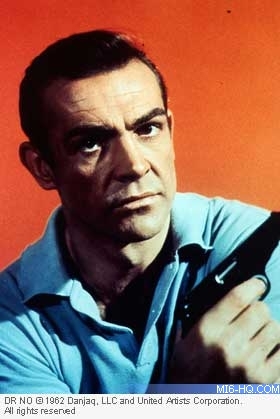 Sean Connery was approached by aspiring filmmakers, Cubby Broccoli and Harry Saltzman, who were looking to transform the literary creations of Ian Fleming into big screen action-adventures. Whilst many big-name stars, such as Carry Grant and David Niven were considered for the role of Secret Agent 007, Connery had the rugged looks and naturally confident demeanour to lend to the character of James Bond.